With the Pittsburgh Marathon on the horizon, runners are in full training mode. What common foot and ankle overuse injuries can occur while training, and what are tips to avoid these injuries? Dr. Robert Waltrip, a Tri Rivers sports medicine and shoulder surgeon, will present "Understanding and Addressing Chronic Shoulder Pain" at a free event open to the public the evening of April 25 at Butler Memorial Hospital. The spring weather is finally here, and the diamonds are filled with boys and girls enjoying America’s favorite pastime. Dr. John Richmond, Tri Rivers orthopedic sports medicine surgeon, shares his tips on how to avoid pitching-related injuries in baseball and softball. Despite the snowflakes, training for spring sports will begin soon. Dr. Anna Dumont, Tri Rivers primary care sports medicine physician, provides tips for athletes to prepare for the season. Winter is upon us, and that means it's time to hit the slopes. 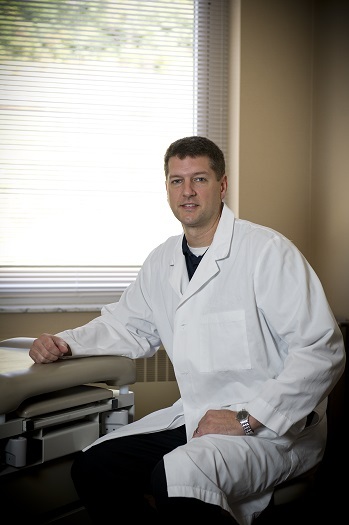 Dr. Josh Szabo, Tri Rivers orthopedic sports medicine specialist and U.S. Ski & Snowboard physician, shares his tips on preparing for winter sports. Join us in celebrating National Women Physicians Day to honor the birthday of Dr. Elizabeth Blackwell, who in 1849 became the first woman to receive a medical degree in the United States. If you're experiencing low back pain while performing your daily activities, you probably aren't alone. Dr. Judith Esman, Tri Rivers physical medicine and rehabilitation specialist, discusses details and treatment options for your pain. There's no doubt that the physical demands of daily life affect our feet and ankles as we age. Dr. Christopher Edwards, Tri Rivers orthopedic foot and ankle surgeon, discusses the essentials about degenerative foot and ankle conditions. You're suffering from arthritis, but you aren't quite ready for surgery yet. Luckily, you have options. Tri Rivers orthopedic hip and knee surgeon D. Kelly Agnew, MD, discusses details of injection therapy. In the world of orthopedic surgery, you must always be willing to learn. Dr. Joshua Szabo, Tri Rivers sports medicine and shoulder surgeon, is dedicated to both learning and teaching others about the latest developments in orthopedic surgery. Ask the MSK Expert: Suspect a rotator cuff tear? Your shoulder is in pain, and you think it might be a rotator cuff tear. Tri Rivers orthopedic hand and upper extremity surgeon Dr. Trenton Gause discusses the next steps you should take. You want to be physically active again, but you need to recover from your hip replacement first. Tri Rivers orthopedic hip and knee surgeon Dr. Michael Weiss discusses the rehabilitative steps that follow a hip replacement. For the past nine years, Operation Walk Pittsburgh has changed the lives of hundreds of patients in developing countries who need care – and one of Tri Rivers’ own has helped lead the way. You’ve probably heard the word “gout” before, but do you know what it means? Tri Rivers Rheumatologist Dr. Joseph Devich Jr. explains the condition experienced by many adults. Dr. William E. Saar, a Tri Rivers orthopedic foot and ankle surgeon, was recognized as a “Best Doctor” for the second straight year by Pittsburgh Magazine. Pain in your funny bone is no laughing matter. Dr. Jamie Pfaeffle, Tri Rivers Hand and Upper Extremity Surgeon, discusses symptoms and treatment options for cubital tunnel syndrome. The sun is shining and temperatures are climbing! Orthopedic Sports Medicine and Shoulder Surgeon Dr. Robert Waltrip discusses potential injuries in summer water sports. Ask the MSK Expert: Is it time for a knee replacement? Your quality of life is suffering because of knee pain, and you are thinking it's time for a knee replacement. Dr. Thomas Muzzonigro, Tri Rivers hip and knee reconstruction surgeon, discusses what steps to take next. Ask the MSK Expert: Can a fluoroscopic injection help reduce your pain? Can a fluoroscopic injection help reduce your pain? Dr. James Cosgrove, Tri Rivers physical medicine specialist, discusses what it is and what conditions it treats. Ask the MSK Expert: How can back pain flare-ups be prevented? More than 80 percent of adults experience low back pain at some point in their lives. Dr. Edward Reidy, Tri Rivers physical medicine and rehabilitation physician, shares how to help prevent back pain flare-ups. Ask the MSK Expert: Can we stay vibrant as we age? Aging vibrantly is a realistic goal, and making lifestyle changes really can make a difference. Dr. Anna Gaines, Tri Rivers physical medicine and rehabilitation physician, shares insight into how we can age successfully. Ask the MSK Expert: What is bi-level disc replacement and who is a candidate? Bi-level disc replacement is a procedure used to treat bi-level disc herniations, or ruptures, in the neck. To find out more and learn if it is right for you, Dr. Scott Rainey, a fellowship-trained orthopedic back and neck surgeon, explains its benefits. Ask the MSK Expert: What are the symptoms of rheumatoid arthritis? Managing a chronic condition, such as rheumatoid arthritis, is complex and requires the care of an expert. Dr. Betsy Shook, a fellowship-trained rheumatologist at Tri Rivers, discusses the symptoms of rheumatoid arthritis. Ask the MSK Expert: Can Botox® therapy help your migraines? Migraines can be debilitating for chronic sufferers and cause many unpleasant symptoms. If you experience this condition, read on to find out if Botox® therapy could help you. Ask the MSK Expert: I have carpal tunnel syndrome; now what? You've probably heard of carpal tunnel syndrome, but do you know what treatment options are available? 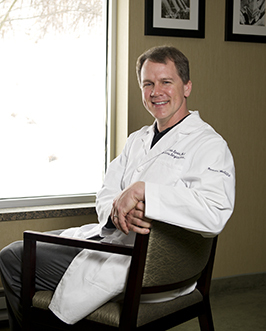 Dr. Corey Pacek explains the nonsurgical and surgical treatment plans he recommends to his patients. Ask the MSK Expert: Experiencing Knee Pain? When is the right time to see an orthopedic surgeon for knee pain, and what comes next? Ask the MSK Expert: What is an EMG? What is an EMG, and which conditions can it help diagnose? What are the most common foot and ankle injuries in fall sports, and how can they be prevented? As student athletes head back to the classroom and fall sports begin, head injuries are always a concern. What are the common symptoms of a concussion that parents, athletes and coaches should look for, and when should someone seek medical care? Tri Rivers is pleased to welcome Christopher T. Edwards, M.D., as the newest member of its orthopedic foot and ankle team. Congratulations to William E. Saar, D.O., Tri Rivers orthopedic foot and ankle surgeon, who was recognized as a 2017 Pittsburgh Magazine "Best Doctor." Did you know that every year more than 100,000 Pennsylvania workers suffer a serious job-related injury or illness and more than 70 die in a work-related incident? These alarming statistics led Gov. Tom Wolf to proclaim June 2017 as Workplace Safety Awareness Month to highlight the issue, especially since some injuries can be prevented. With the snow and ice during winter months, there are extra precautions you can take to protect yourself from falling. Who is at risk for a fall? Fifty percent of women at age 65 are at risk for falling, and that number increases with age. It's that time of year again: The time for making, and hopefully not breaking, New Year's resolutions. Exercising, getting in shape or losing weight is a common resolution.